Pixar will forever be the king of modern animated movies. Maybe I'm biased because I grew up with movies like Toy Story and Monsters, Inc. and Finding Nemo, but they stick with me more than what Disney or Dream Works has done. But as of late, Pixar hasn't been on their A-game. They're last spectacular movie was Toy Story 3, and that came out four years ago. They made Brave which wasn't fantastic and they made Monsters University, which was good but not great. I haven't even seen Cars 2 and I don't plan to. They have a string of sequels coming out soon but I've always been more interested in their original content. One of those movies is Inside Out. A teaser trailer came out before but I hadn't seen it. But the voice cast looked fantastic with Amy Poehler, Lewis Black and Bill Hader with a very interesting concept of exploring the inner emotions of people. From the people who have seen good chunks of the film, I have heard this could possibly be on of Pixar's best, and that alone has me excited. Then this new trailer came out and I loved it. I didn't think the movie would be exploring other people's emotions other than the main character, but it added for more comedic moments in the trailer. The humor was brilliant and the footage showed that this movie could live up to the hype that's surrounding it. I am very excited to see what this movie can do. What do you think? 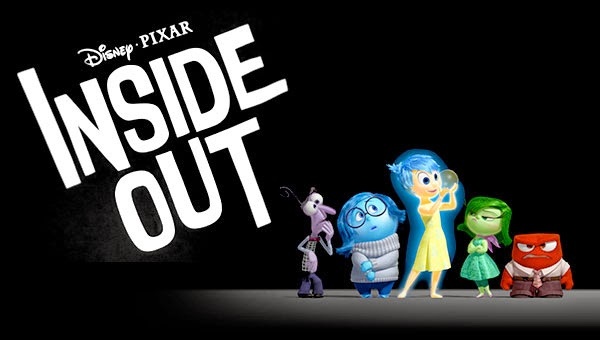 Did you see the trailer for Inside Out? Are you looking forward to the film? Leave your thoughts in the comments section below.